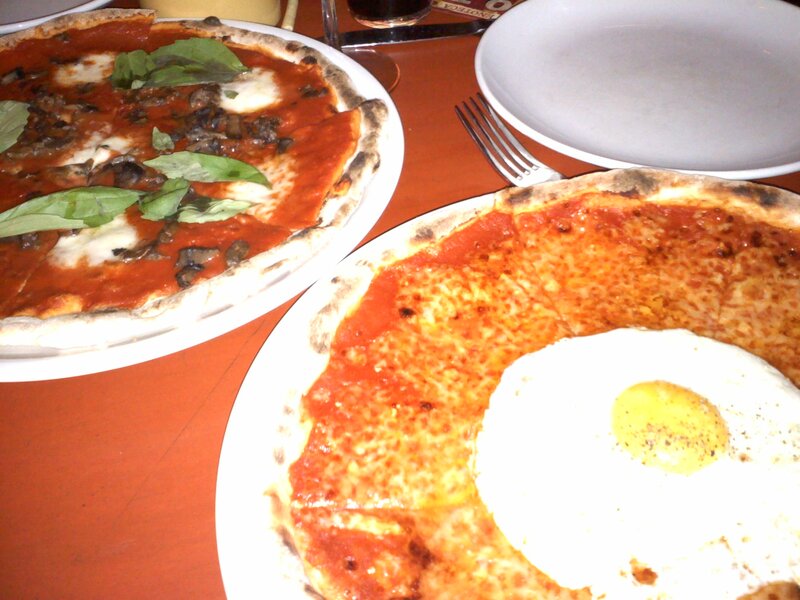 Saturday night, I ate the best pizza of my life at Otto Enoteca Pizzeria. We ordered the pane frattau, made with tomato, pecorino and egg. Seriously delicious. We actually ordered so much food that the waiter wouldn’t let us order any more! Finding poppy seed sweet bread at Zabar’s. This was one of my favorite treats that I’d enjoy with a cup of coffee at the café around the corner from my housing when I studied abroad in Prague. In Czech they are called kolache – I really want to make them soon. Taking a spinning class called Soul-Cycle, which was a full-body workout set to great music. The instructor was a lot of fun, and encouraged us to chuck our water bottles at her when they were empty. My legs were seriously sore after that class. Vol De Nuit, a Belgian beer lounge. 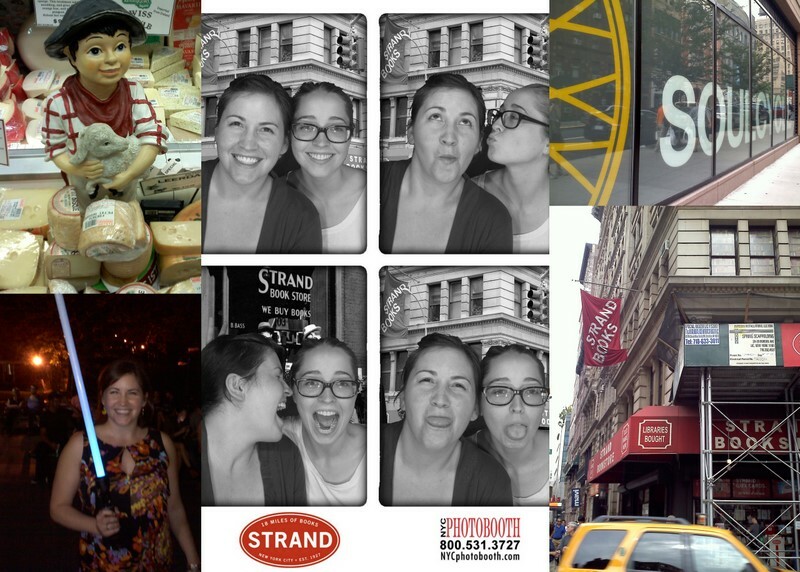 The Strand, a bookstore with 18 miles of new, used, rare and out-of-print books. And they have a photo booth in the basement. 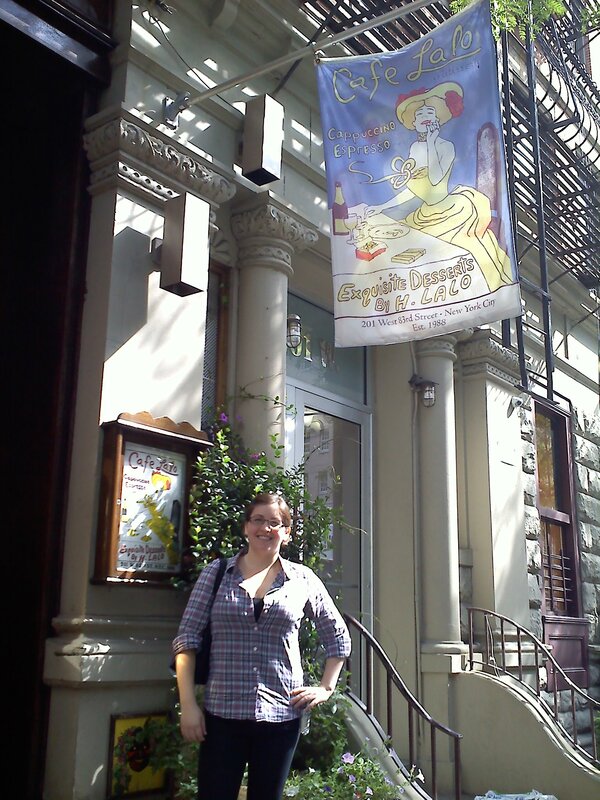 If I lived in NYC, I would live in this bookstore; it’s a book nerd’s paradise. Wearing leggings as pants. This is not something I’d feel comfortable doing in Raleigh, but I figured since people wear crazy clothes all the time in New York, surely I can wear leggings as pants. I finally tried Pinkberry! The peanut butter and chocolate was a great combination. 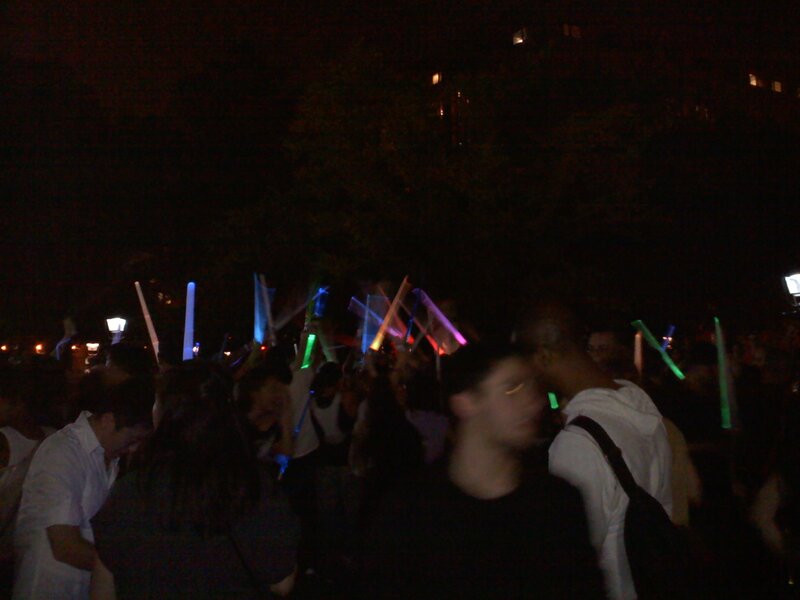 Coming across a light saber convention in a random park and witnessing a light saber mosh pit. And then convincing someone to let me borrow their light saber for an epic photo. Random collage of weekend pics. The goat man in the upper left is from Zabar’s, and I want one for my kitchen! Overall, my favorite thing about NYC was the freedom I felt from being able to walk everywhere and take public transportation. In Raleigh, people just don’t walk places very often. I drive everywhere, even if my destination is just down the road. 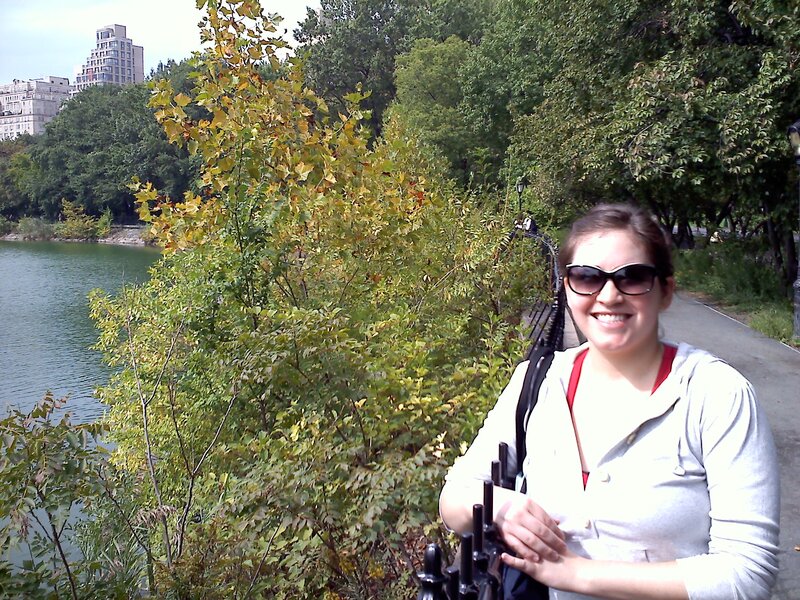 I’m going to try to make walking more of a priority, especially now that it’s slowly getting a bit cooler. That picture of the pizza with an egg on it pulled me into this post! I’ve never tried it, but it looks so good! I’d never heard of putting an egg on pizza, but it made the pizza so delicious. Hope you get to try it soon! My friends are addicted to Soul Cycle! One of them even considered becoming a trainer and opening up a studio in San Francisco! Sounds like you had a lovely time! Clearly this is the best post you have written! 🙂 Thanks for visiting, I had such a great time. Next up, NY invades NC! Seriously – we will have another epic weekend when you come to NC!